We had a fun time bowling on Sunday! 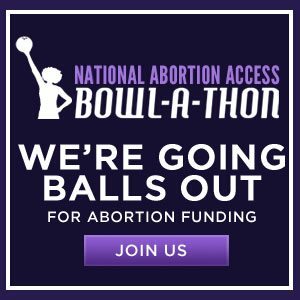 Thank you to everyone who participated and who has supported this great cause by donating time and money to The Sin City Sirens’ team for the National Abortion Funds bowl-a-thon! As of Monday, April 16 we’ve raised $340! We’re just $160 from our goal of $500! It is so amazing and gratifying to see so much generosity from our community to help women gain access to the health care they need. This is why I do what I do. And you all make it happen! Let’s show America how big out hearts are in Las Vegas!